Looking for the pérfect Summer Optimist kick-off? Nieuwpoortweek 2019 awaits you! 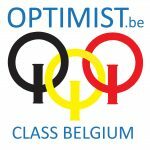 Starting the last week of June, 8 Days a Week will be providing a clinic and regatta coaching before and during the 26th edition of the Nieuwpoort week, in Belgium. No better team to do the Nieuwpoortweek with as 8 Days a Week. Since our coaches know this place like home and our sailors have won the previous editions, lot’s of local knowledge will be informed during the clinic & regatta coaching. At the same time 8 Days a Week will be hosting a Laser clinic and regatta coaching at the Nieuwpoortweek. Keep in mind that Optimist and Laser will be sailing on different cours areas.